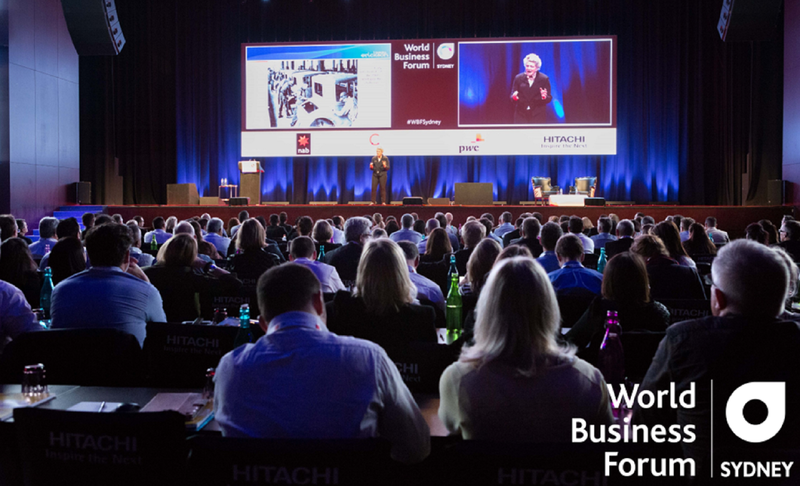 For twelve years the World Business Forum has been a global source of inspiration, learning and transformation for leaders looking to build better businesses and a better world. In cities around the world we gather business icons, global leaders, brilliant minds and legendary CEOs to discuss the issues and trends that are shaping the future of business. After a successful World Business Forum Sydney in 2014, 2015 and 2016, Business Executive Education (BEE) and WOBI are happy to bring you this next chapter of WBF Sydney at The Event Centre, The Star on the 31st May and 1st June 2017 at The Star Event Centre, Sydney. The fourth edition in Sydney will be an opportunity to meet new challenges. Our program offers an incredible breadth of content, bringing you world-class speakers from diverse fields, all of whom have one objective in mind: To help you lead more effectively so as to meet the challenges of today’s global business environment. World Business Forum Sydney 2017 will highlight that in a world where new technologies emerge at pace, those who anticipate change and are quickly able to adapt will flourish. Organisations and individuals alike must reinvent themselves constantly; experiment and learn; identify new opportunities, exploit them fast, and move on. In this world it is the entrepreneur, the experimenter, the risk taker who will thrive. Long term competitive advantage is dead! Are you ready to live in a state of permanent BETA?